It's not every day that you get to drive a vehicle that is an icon in the automobile industry. And when it finally happens, it feels quite special. The Jeep Wrangler is a name I have admired for as long as I can remember because I've always been a fan of big rugged 4X4s. It is a name that bears a long and important lineage in the automotive industry because it started the Jeep culture all over the world. I could go on about this matter for several hours if you were patient enough to read about it, but I'm going to give you a little credit and presume you already know these things. So I'll move onto a more relevant subject  the 2016 Jeep Wrangler Unlimited. Was it everything I'd hoped it would be all these years? 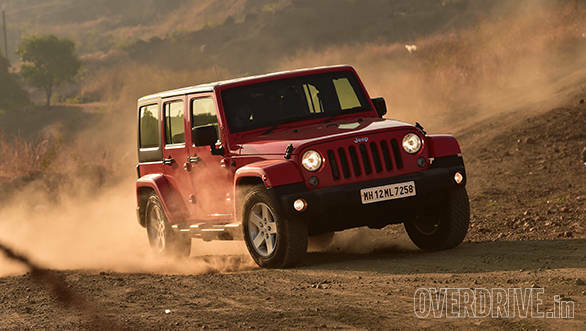 The Jeep Wrangler Unlimited will come to India with a 2.8-litre turbo-charged diesel that produces 200PS and 460Nm, mated to a five speed automatic transmission. The engine itself is quite smooth although, it doesn't like to be revved too much. The Jeep Wrangler Unlimited gets from 0 to 100kmph in 10.2 seconds, which is actually pretty good for an SUV of this size. 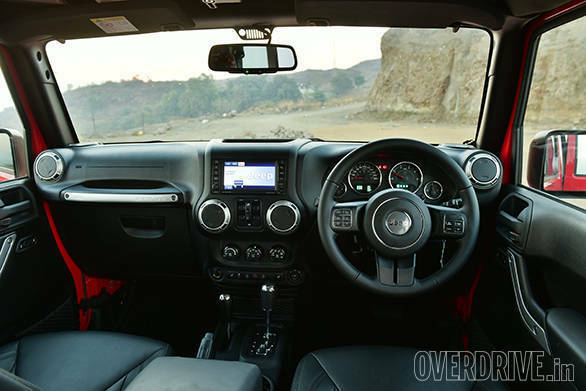 In fact, the lighter three-door Jeep Wrangler Sport we tested, managed 8.3 seconds to 100kmph with a 3.5-litre petrol V6 under the hood. 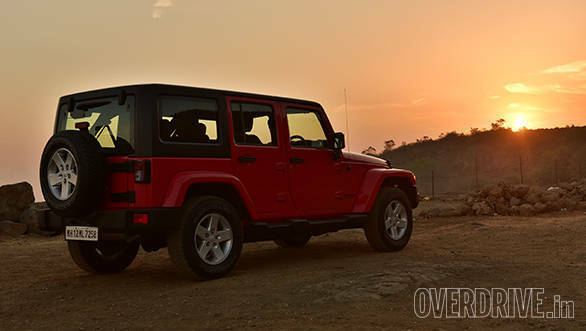 The Jeep Wrangler Unlimited is most comfortable at around 100-120kmph, although it is easily capable of much more. The 5-speed automatic transmission meanwhile is quite smooth but isn't the quickest to respond to throttle input because it's not a very modern system. Although I am personally not a very big fan of automatics while going offroading, because it makes it a lot easier, it is great for an amateur. Considering that it's a sport that not everyone is comfortable participating in, this Jeep Wrangler Unlimited would be quite the encouragement. Using a body on frame chassis and solid axles, the Jeep Wrangler Unlimited isn't the best SUV to drive on the road. 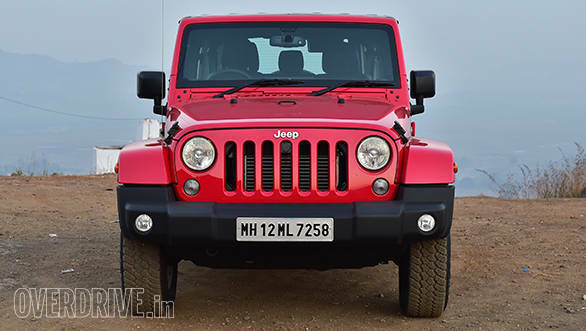 Although it does soak up the larger bumps reasonably well and offers excellent ride quality in the city, the smaller undulations on the highways leave the Jeep a bit unsettled. That said, it certainly doesn't make it unnerving at high speeds. There is fair amount of body roll, which means a quick change in direction can be dramatic. But that of course, is because the Jeep Wrangler Unlimited uses a body on frame chassis instead of the more modern monocoque. However, what is comforting is how surprisingly quickly the brakes bring a vehicle of these proportions to a halt. Off the road however, the solid axles work really well and keep the body perfectly balanced even while driving over large crests at all sorts of angles. The steering wheel meanwhile can feel a little heavy to use inside the city, but on the move, it feels weighted enough, but also a little vague. However, that isn't the case, as it's actually quite precise for this type of vehicle. The steering radius isn't too great, and that combined with the sheer size of the Jeep Wrangler Unlimited, can make it quite tiresome to drive in town. The current Jeep Wrangler Unlimited has been around for a while, but it has one of those simple timeless designs that keep to the Wrangler's heritage. It has a big burly front end with a sort of sober, friendly face because of its round headlights and signature slotted grille. The Jeep Wrangler Unlimited is the five door version and gets a removable hardtop like the three-door Wrangler Sport. Although its proportions seem quite normal from the front and the rear, you'll have to step to the side to get an idea of how long the Jeep Wrangler Unlimited really is (4696.46mm). Considering that, it would have been much appreciated if Jeep had offered at least parking sensors. 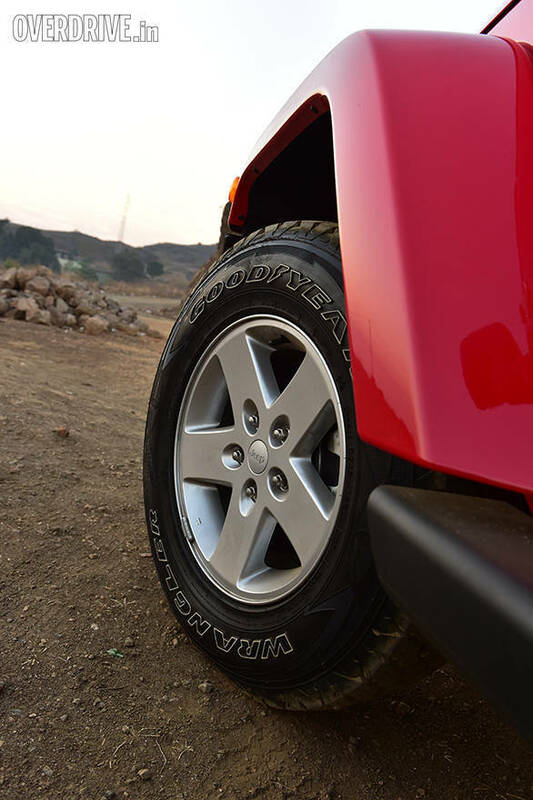 From the side, your eyes will also be drawn towards the beefy set of five-spoke 17-inch wheels shod in 245/75 section Goodyear Wrangler tyres. The rear end meanwhile, is typical Wrangler with the square lights and the tailgate-mounted spare wheel. 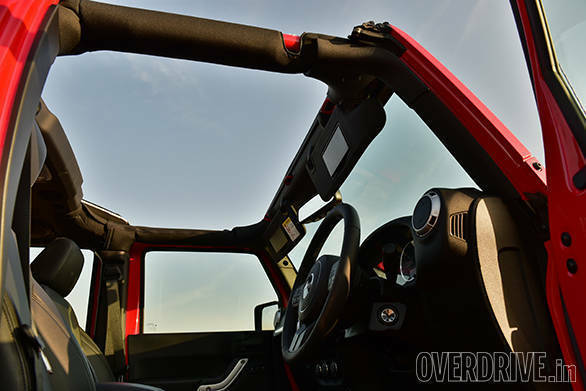 The Jeep Wrangler Unlimited also has a manual sunroof for those who like to take in the fresh air on a sunny day. I say manual because it takes you around five minutes to unlatch and unscrew each half of the roof and stow them away. The interior is sort of a mixed bag. It has great features like a nice set of seats and an excellent all-weather Alpine sound system linked with a Garmin Uconnect touchscreen infotainment system and a neat, straightforward centre console. However, the plastics used in the interior aren't the most impressive. This is just perfect for offroaders who'll probably get the all-black interior very brown with all mud and slush. In fact, just for this bunch of people, the Jeep Wrangler Unlimited diesel also gets a fully washable interior with water drain plugs on the floor. However, this might not appeal to the other half of the market which usually buys SUVs to drive around town simply to stroke their egos. After all the 'spirited' early morning driving, I pulled over at a fuel station to top up, when a person approached me earnestly and asked, "Sir, when did Mahindra start making this jeep?" I suppressed a chuckle to avoid offending him, and began my long lecture on the history of the Jeep brand to initiate the uninitiated. However, seeing the perplexed look on his face, I cut my speech significantly short. "Oh, okay okay", he nodded probably just to shut me up. 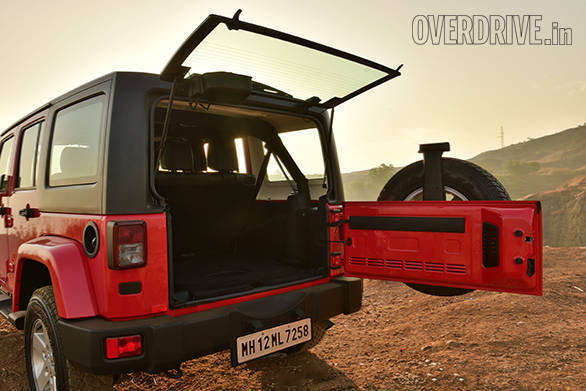 It's true that the Jeep name has been diluted in India with all the Mahindras that have been running here for decades. Although both the brands have similar origins, Jeep took the basic concept and developed it into one of the most capable offroaders available today. There are of course, more than a few shortcomings in the Jeep Wrangler Unlimited because of how dated it is in terms technology compared to other SUVs in that price range. However, it still has the same basic utilitarian element that only appeals to a certain breed offroad enthusiasts, and that's the exact group of people the brand is targeting in India. This time around, the company seems pretty certain about making their entry here to reclaim the Jeep name. 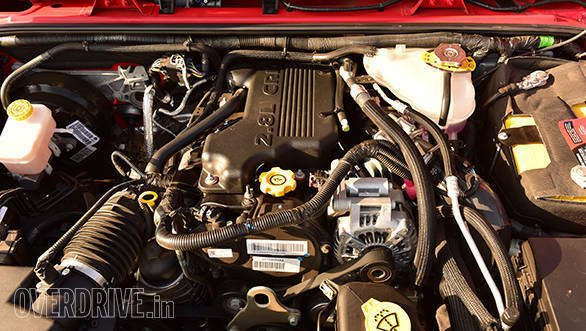 The fact that the Wrangler will be offered with a diesel engine only makes it more appealing to the Indian market. 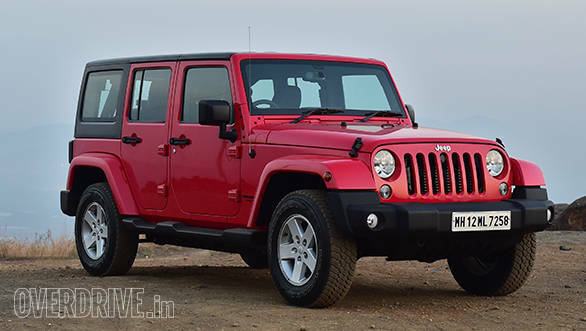 Although the three-door version would be more fun offroad along with a manual transmission, the five-door Wrangler Unlimited is a start and a good one at that.